Courts4Sports in Mason provides recreational basketball leagues of all ages. This is an option for 7th-12th grade players as well as younger kids who want to play in a league during the off season. 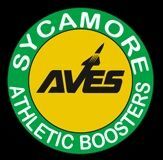 The Sycamore Athletic Boosters are parents, district staff, alumni, and community supporters who are hard working volunteers dedicated to improving the lives of our student-athletes in the Sycamore School District.